Now that you have learned how to use all of these incredible digital fabrication tools, what do you do when you graduate and no longer have access to expensive machines? Buy or build your own of course. The cutter uses a small blade to cut paper, cardstock, vinyl, fabric, and other material up to 12 inches wide and 10 feet long. The cutter can do stippling, etching, debossing, embossing and dual carriage features. 8.5 in. x 6 in. base. It is the latest CNC kit from Inventables, which can be purchased piecemeal — to easily upgrade your Shapeoko 2 — or as a fully loaded kit. The kit has custom parts that replace the complicated assemblies in previous models. This ensures an easier build, a sturdier machine, and a better cut. And there are two sizes available, standard (work area 12″ x 12″) and large (work area 31″ x 31″). A bit of a departure from the Shapeoko 2 design, the Shapeoko 3 sports bigger rails and beefier hardware. It still arrives in kit form, but with a much shorter build time (2 to 3 hours). 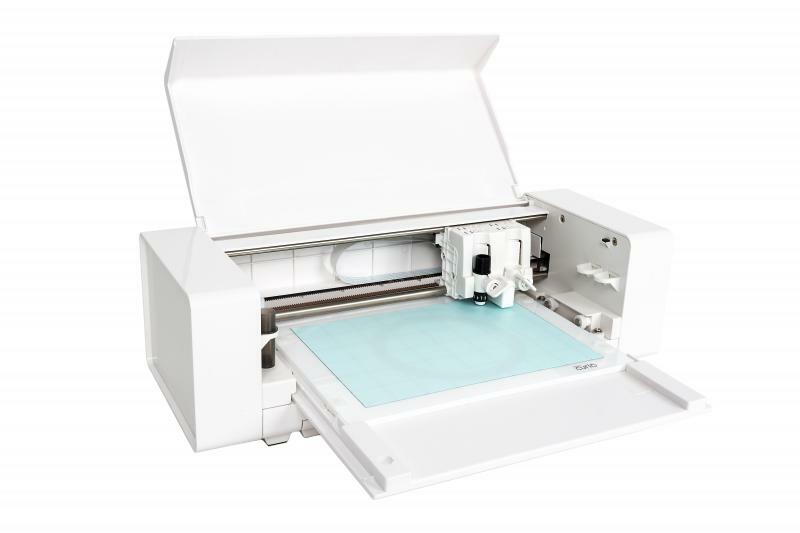 The work area is larger (16″ x 16″ x 3″) and the stepper motors are more powerful than the Shapeoko 2. All parts made in the U.S.A., but the spindle is not included. 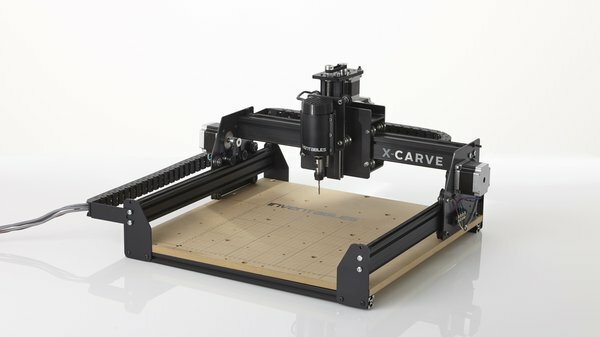 The Carvey is a ready to run fully enclosed CNC from Inventables. They claim it is clean enough and quiet enough to use in the home (“you can be talking on the phone while it is running”). It is compatible with any software that exports g-code, but they recommend their easy to use web app Easle. Another enclosed, ready to cut model, the Nomad 883 is made by Carbide3D. The mill has a solid metal frame, but you have the option of finished bamboo or durable HDPE for the enclosure trim. Custom software comes with the Nomad, Carbide Motion to control the machine and MeshCAM for creating tool paths. There is an end mill sensing probe that makes “changing tools a breeze”. Great for milling PCBs and small wood, plastic, and aluminum parts. Software is user-friendly. The Pocket NC is a 5 axis desktop CNC mill. This is a radically different design from most available desktop machines and has the potential to make some amazing parts out of wood, plastic, and aluminum. The SwissMak combines all the functionality of both CNC lathes and CNC mills. Turning parts is quick and easy with the 8 station live tool turret, and the swiveling 30 taper milling head lets you cut features at any angle. You can make any part geometry you want on a 5 axis mill-turn machine. 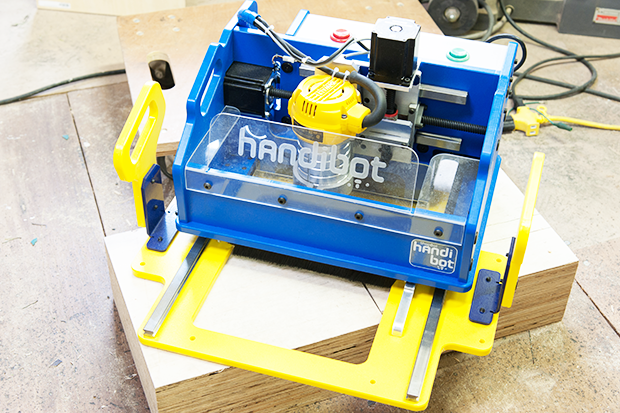 ShopBot produces a few table top CNC’s, but the model I’m most interested in is their Handibot–a portable jobsite-ready CNC router. Their website claims you can use the machine “on a table, the floor, the ceiling, the wall, wherever you need to precisely cut, drill, or carve.” Yes, you read that correctly, the ceiling. Handibot is completely open source. All design files for both the hardware and software are available and ShopBot encourages modifications and remixing. The world’s first hand-held CNC machine. 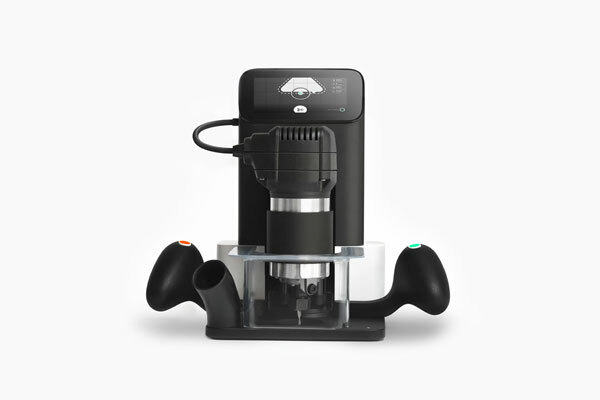 Shaper Origin combines robotic precision with hand tool simplicity to create a first-of-its-kind machine: a handheld CNC that only cuts what you tell it to. This portable, intuitive, and powerful tool is capable of handling a wide variety of materials and projects. BoXZY can rapidly change functions, it can CNC mill, 3D print, or laser etch. It’s kind of the Swiss Army Knife of CNC’s. I’ll be interested to see if it can do all of these operations as well as a feature-specific machine. High performance, personal abrasive waterjet. Comes with PC, software, pump, and garnet. It seems there is a new CNC being Kickstarted every week, keep an eye out for inventive machines/solutions. There are other options than just mills. Vinyl cutters and embroidery machines are very affordable useful machines. And there are numerous kits and DIY CNC solutions. Instructables has many DIY CNC build projects. One week left to work on the project. Where are we? Material should definitely be purchased, ideally in hand by now. Drawings should be ready, machine time already reserved.